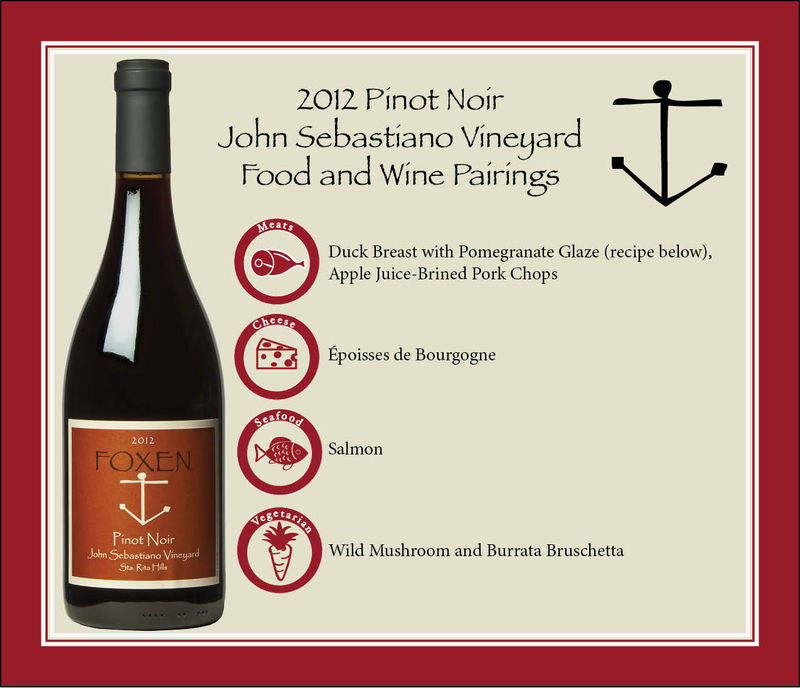 Our 2012 John Sebastiano Pinot Noir is a wonderful Sta. 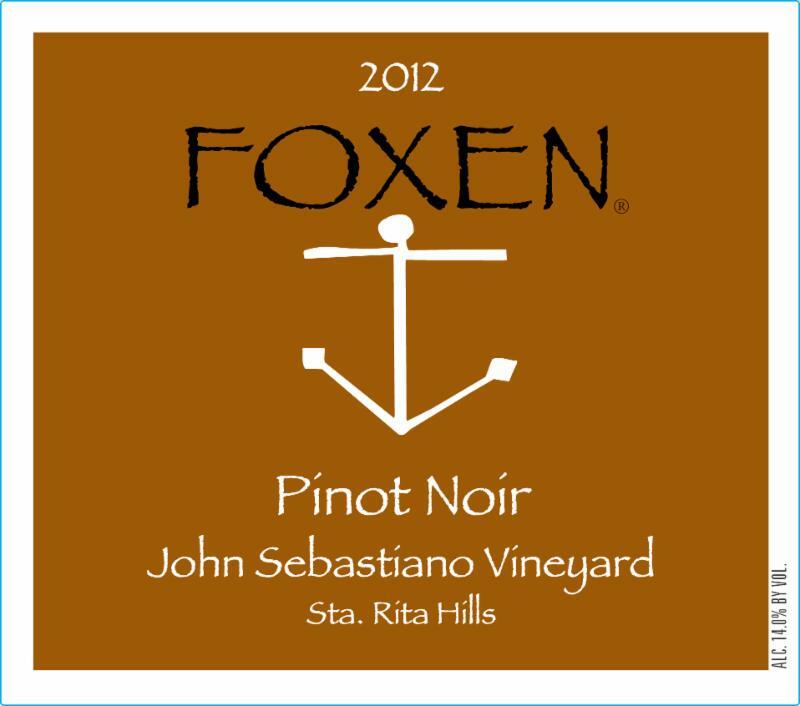 Rita Hills Pinot. 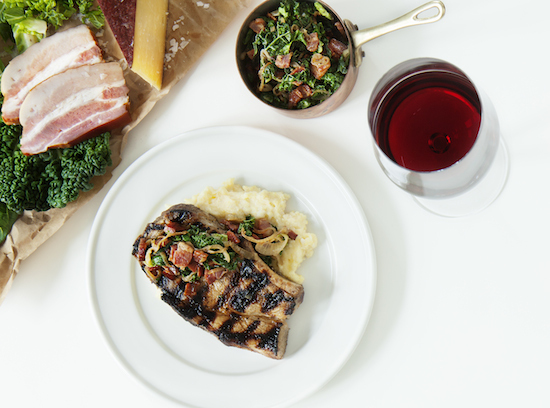 We discovered this recipe below of duck breast with a pomegranate glaze from Martha Stewart and believe it will pair wonderfully with a glass of this particular Pinot Noir. 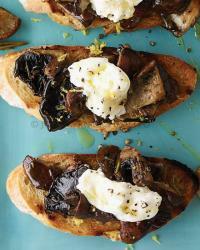 In a small bowl, mix together fennel, salt, lavender, and coriander. Place duck breasts, skin up, in a large dish. Sprinkle evenly with the spice mixture. Flip breasts over and place the zest, brandy, and thyme evenly on the flesh; let marinate for 30 minutes. Preheat oven to 350 degrees. Place the duck breasts, skin side down, in a large ovenproof skillet over medium heat. Cook until the fat is rendered and the skin is crisp and thin, about 15 minutes. Transfer breasts to oven and cook until pink in the center, about 4 minutes. Let duck rest for 2 minutes before slicing. 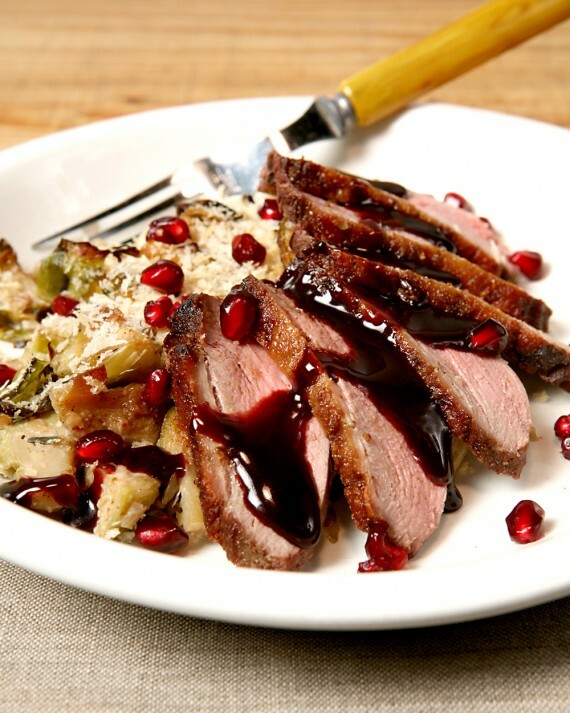 Divide duck evenly among 4 serving plates and spoon over pomegranate glaze. Place the orange juice, brandy, and honey in a medium saucepan and bring to a boil. Immediately reduce to a simmer, add vinegar, and cook for 2 minutes. Meanwhile, cut pomegranates in half. Hold pomegranate halves over a large bowl and beat each one with the back of a wooden spoon to release seeds and juices. Place 2/3 pomegranate seeds and any accumulated juices, thyme, and chicken stock in the jar of a blender; blend for 10 seconds. Strain pomegranate mixture through a fine sieve into saucepan. Return glaze to a simmer. Stir in butter. Spoon over duck and garnish with remaining pomegranate seeds.